Brig. Gen. James B. Thayer earned Silver and Bronze Stars for his service in Europe during World War II. His anti-tank platoon liberated several Nazi forced-labor and death camps, saving the lives of thousands of Jewish prisoners. 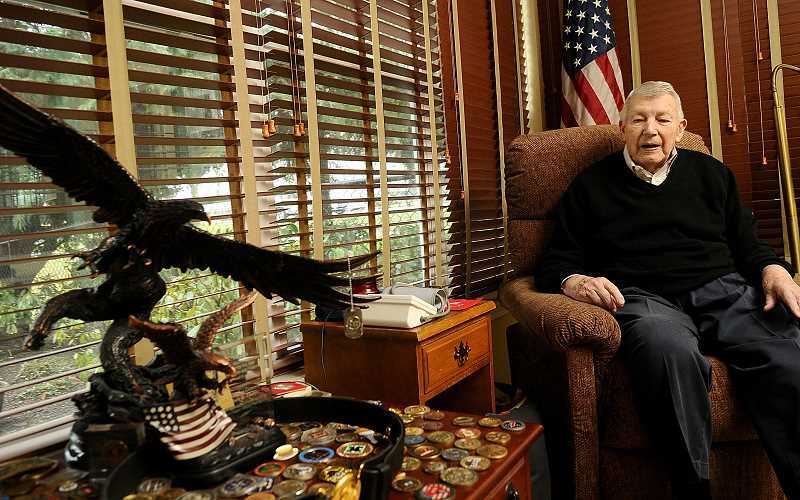 But the Lake Oswego resident says he takes just as much pride in his lifelong role as a "citizen solder" — one who served as a civilian aide to the Secretary of the Army and who was deeply involved in making his community a better place. Thayer has held the title of "president" at the Oregon Historical Society, the Port of Portland Commission and the Beaverton Area Chamber of Commerce, and he has led more than a dozen other local groups over the years. 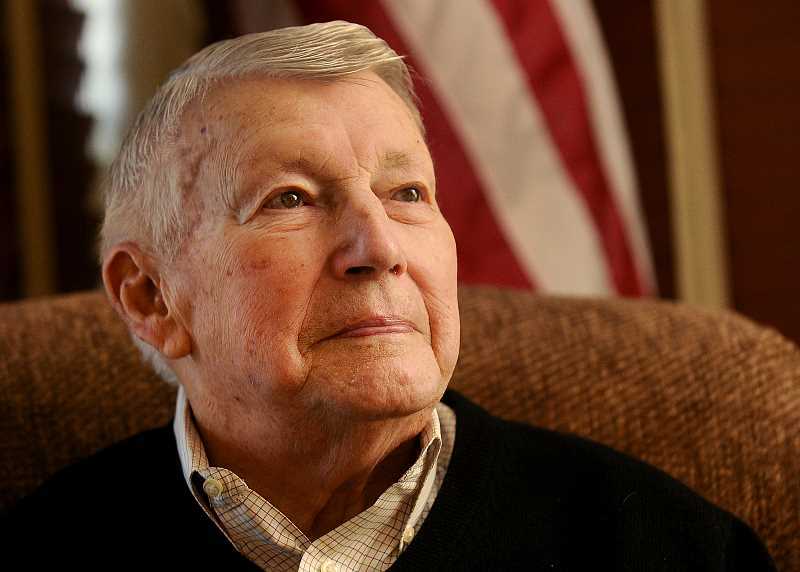 "For the rest of my life, all I want to do is to make other people happy and help other people," says Thayer, 94. "So many people have done so much for me." Thayer's many accomplishments, both at home and abroad, are the reason why the future Oregon Military Museum has been named in his honor. The project's supporters are hosting a fundraiser in Portland on Feb. 18 with the goal of netting $750,000 toward the $20 million cost of the Brigadier General James B. Thayer Oregon Military Museum and Historic Park. 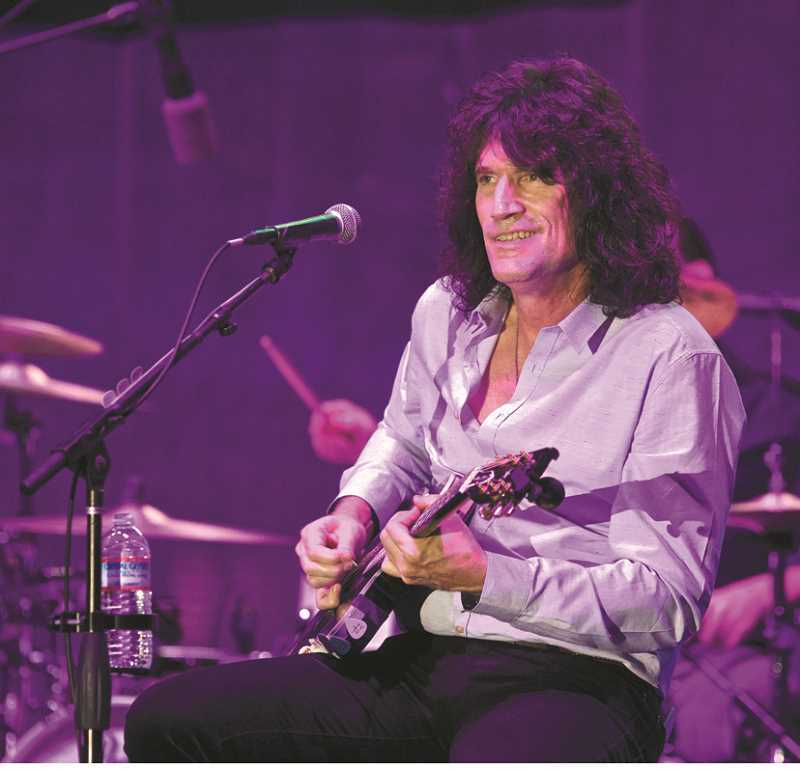 The event, known as the All Star Salute to the Oregon Military, will feature music from KISS's Tommy Thayer — the general's son — and the Rock and Roll Hall of Fame Band, which includes Alice Cooper, Robby Krieger of the Doors, Danny Seraphine from Chicago, Will Lee from The Late Show with David Letterman and others. Gene Simmons, Paul Stanley and Eric Singer from KISS will also be in attendance. PGA legend Peter Jacobsen will serve as master of ceremonies. Tickets are $1,500 per person, $3,000 per couple and $12,000 for a table of eight. "It's going to be an epic night of music for sure," says the project's executive director, Amy Maxwell. The event will also honor Bill Bowerman and the late Army officer Edward Allworth for their military service, she says. Construction is underway on the 32,000-square-foot facility, which is projected to open in late 2018 at Camp Withycombe, 15300 S.E. Minuteman Way in Clackamas. According to a release from the organization, the museum "will provide an educational resource for preserving and sharing our military history with the goal to inspire future generations on the importance of citizenship, heroism and sacrifice." So far, fundraisers have raised roughly $8.5 million toward the project. The $20 million figure includes an operating endowment for the facility, Maxwell says. The exhibits will represent Oregon's military history from the warrior traditions of Native Americans through today's global war on terrorism, she said. According to the release, the museum's collection of 14,500 artifacts, 30,000 library volumes and 750 cubic feet of archives includes "one of the largest military firearms collections west of the Mississippi." "We shouldn't forget these individuals who do these heroic things and put their lives on the line," Maxwell says. "We should honor and celebrate them." Tickets: $1,500 per person; available at www.oregonmilitarymuseumproject.org. Donations can also be made at the website.